Busy Bees Patchwork: More Quilt for you to see. 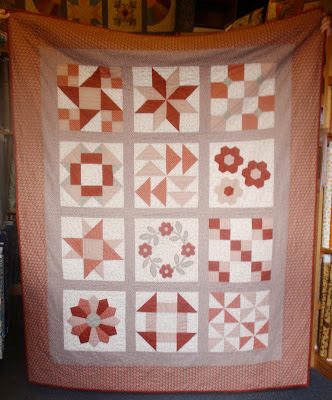 More Quilt for you to see. 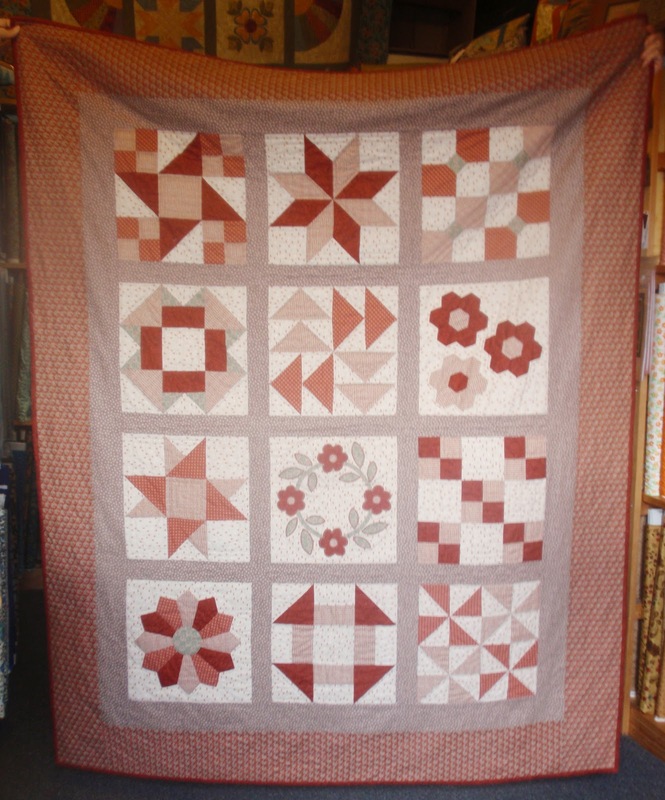 Here are three quilts for you to see that were either made at a Busy Bees workshop or made with Busy Bees fabric. 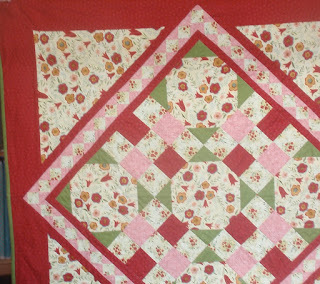 The first quilt was made by Mary, at Sue's Two Block Magic class last programme. 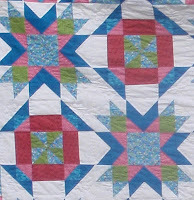 I love the colours Mary used which makes the quilt look so clean and bright. 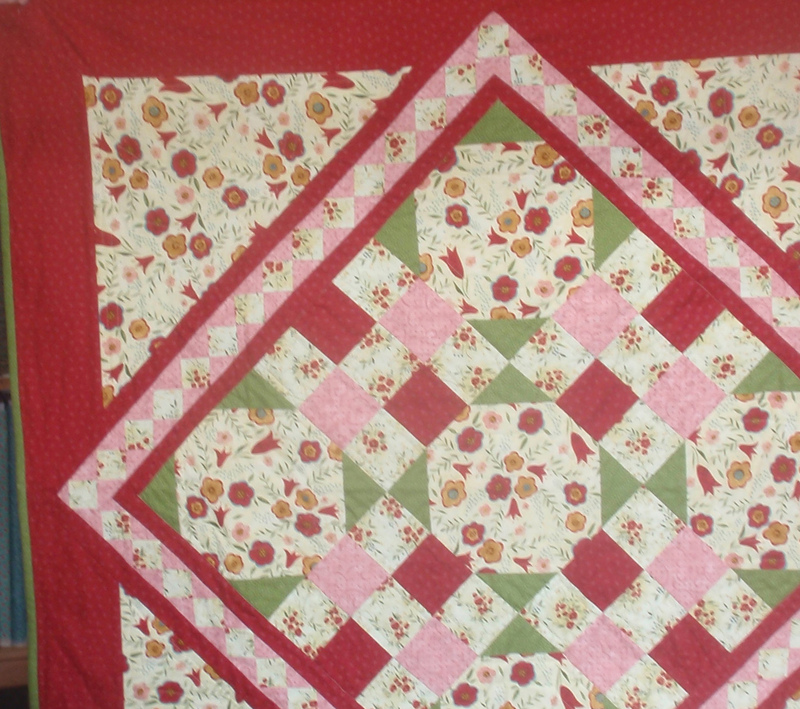 Jill made this, her very first quilt at Sue's beginners class last September. The colours are really lovely, which you can't really see in this photo. Jill has gone on to make other quilts and have a real love for patchwork and quilting. 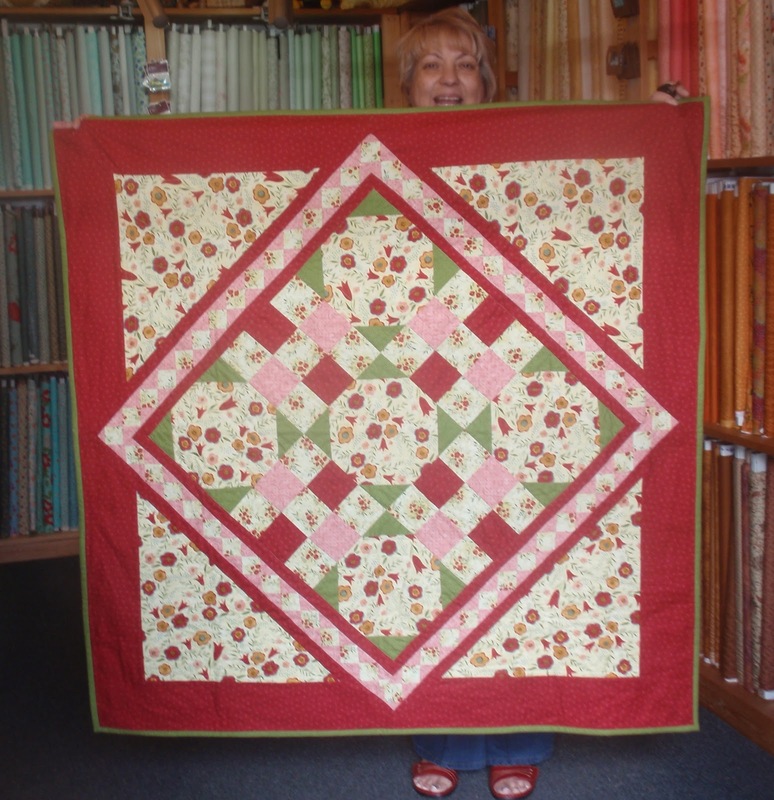 The last quilt has been made by Sharon using Busy Bees fabrics. 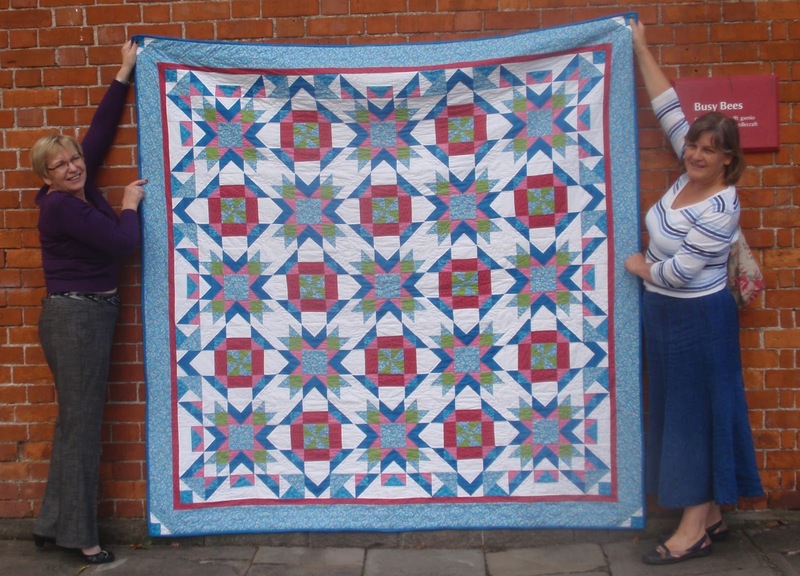 Sharon has made snowball and nine patch blocks in the middle of her quilt with a seminole patchwork border around the centre blocks. 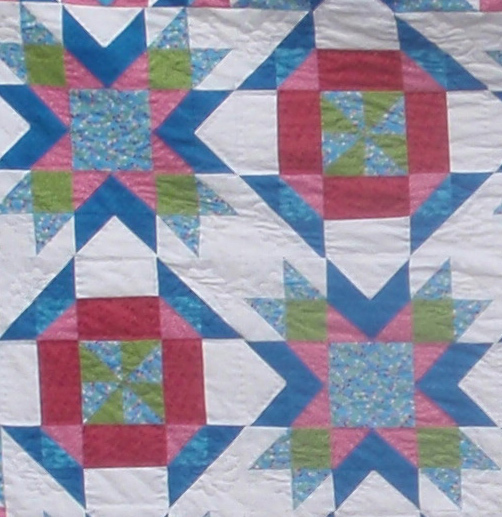 The main flower fabric is called 'Family for ever' which is really bright and cheerful. 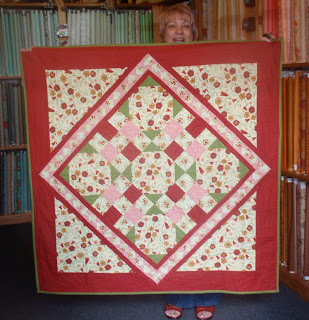 I love Sharon's colours the red, green and pink go so well with the main fabric. If you have made anything at Busy Bees do send in a photo or bring it into the shop for us all to see. Labels: patchwork, quilting, seminole, snowball, two block magic.